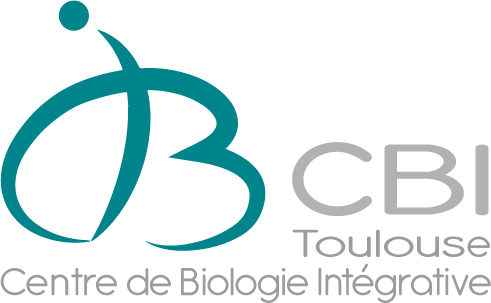 Le CBI Toulouse offre des stages aux niveaux Licence et Master. Les étudiants intéressés sont avisés de consulter les pages des équipes d'accueil et de contacter directement les chercheurs concernés. Neural crest cells are highly migratory cells that are induced at the interface between the neural and non-neural ectoderm during neurulation. They undergo epithelial-mesenchymal transition to leave the neural folds and initiate migration. In the head, cranial neural crest cells follow very specific routes of migration forming 4 distinct streams migrating from the dorsal region to the ventral region of the embryo. This highly directional collective migration is tightly regulated. First, cells need to replace E-cadherin by N-cadherin. That allows them to repolarize according to the available free space and to acquire the ability to respond to collision to one another, a phenomenon known as contact-inhibition of locomotion (CIL). The response to cell-cell contact is mediated by N-cadherin and the non-canonical Wnt/PCP pathway. Then, during migration N-cadherin levels have to be kept sufficiently low so that cells can easily attach and detach from each other. Directionality is controlled by the chemokine Sdf1/CXCL12 produced by placodes located ventrally to the neural crest. Sdf1 only poorly polarizes single cells. It acts by reinforcing an existing cell polarity such that cells that are already polarized are primed to respond to Sdf1. This initial polarity is CIL-dependent. Therefore, groups of neural crest cells at high cell density respond much better to Sdf1 than single cells because they have frequent transient cell-cell contacts that maintain their polarity. Interestingly, MMP14, a transmembrane metalloproteinase also known as MT1-MMP, is strongly expressed by migratory neural crest cells. MMP14 is a well-known pro-invasive factor for its ability to degrade the extracellular matrix and activate other MMPs such as MMP2. It is one of the most upregulated MMPs in human cancer. In other cell types cultured in vitro, MMP14 is known to be capable of cleaving Sdf1 to render it inactive and N-cadherin has been proposed as one of its putative target. None of these activities has been validated in vivo or clearly linked to any physiological functions. Here our model system offers a good opportunity its putative relationship with these factors in vivo. We think that MMP14 could act as a master regulator of Xenopus neural crest migration by acting on both Sdf1 and N-cadherin. Our group has already initiated this project and found that catalytically active MMP14 is indeed required in vivo for normal neural crest cell migration. The aim of this project is to decipher which aspect of neural crest migration is failing when MMP4 is knocked down. For that, we will use a series of in vivo and ex vivo assays to assess cell motility, adhesion, polarity and chemotaxis. Bahm I, Barriga EH, Frolov A, Theveneau E, Frankel P, Mayor R. PDGF controls contact inhibition of locomotion by regulating N-cadherin during neural crest migration. Development. 2017 Jul 1;144(13):2456-2468. Scarpa E, Szabó A, Bibonne A, Theveneau E, Parsons M, Mayor R. Cadherin Switch during EMT in Neural Crest Cells Leads to Contact Inhibition of Locomotion via Repolarization of Forces. Developmental Cell. 2015 Aug 24;34(4):421-34. Kuriyama S+, Theveneau E+, Benedetto A, Parsons M, Tanaka M, Charras G, Kabla A, Mayor R. In vivo collective cell migration requires an LPAR2-dependent increase in tissue fluidity. J Cell Biol. 2014 Jul 7;206(1):113-27. +co-first authors. Theveneau E, Steventon B, Scarpa E, Garcia S, Trepat X, Streit A, Mayor R. Chase-and-run between adjacent cell populations promotes directional collective migration. Nature Cell Biology. 2013 Jul;15(7):763-72. Carmona-Fontaine C, Theveneau E, Tzekou A, Tada M, Woods M, Page KM, Parsons M, Lambris JD, Mayor R. Complement fragment C3a controls mutual cell attraction during collective cell migration. Dev Cell. 2011 Dec 13;21(6):1026-37. Theveneau E, Marchant L, Kuriyama S, Gull M, Moepps B, Parsons M, Mayor R. Collective chemotaxis requires contact-dependent cell polarity. Developmental Cell. 2010 Jul 20;19(1):39-53.